"I will get the Koel-Karo project reviewed"
What are the most important issues for tribals in your area? I would say education, poor living standards, the need for sound water management, and improvement in the communications infrastructure. There is a lot of discontentment among tribals in Jharkhand against the forest department over the issue of unsettled claims and encroachment upon forestlands. What have you done to resolve this? 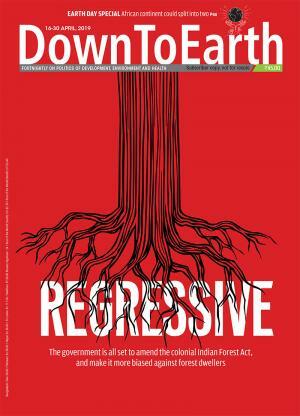 We have registered our views with the Union government, asking it to review forest laws. Tribals live in harmony with the forest. We have our sacred groves or sarans. It is always the timber mafia that cuts down the forest and the tribals who are blamed. I can't go into too much details as the matter is sub-judice in the Supreme Court. But I will make joint forest management more effective, ensuring that the people get their due. What is your stand on the Koel-Karo project that has been opposed so vehemently? I would get the project reviewed. The wishes of the local people would be considered. I am confident that I will manage a compromise that is acceptable to the people. I won't accept defeat. Those who give up before trying can never win. I promise it will meet every six months, possibly twice in that duration. I have already passed the order for the first meeting.